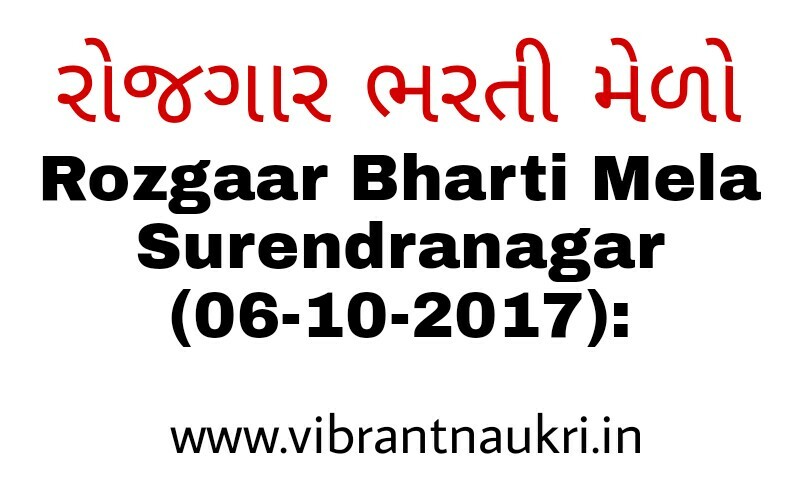 "Rozgaar Bharti Mela" Surendranagar (06-10-2017): District Employment Exchange Surendranagar has published Recruitment notifications of Rozgaar Bharti Mela for below mentioned posts. More information please read below mention officially notifications carefully. Interview Venue: Mahila I.T.I., 60 feet Road, Nr. Juni Technical Highschool, Nr. Shiv Hotel, Surendranagar.